Miss one of our keynotes? 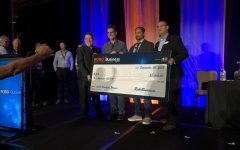 Here are the big presentations from RoboBusiness 2018. Workforce development needs to be a national priority, said A3's Jeff Burnstein and Bob Doyle. Automation can help multiple industries and workers, they said.